When you’re reviewing a lot of cars, you’re also trying out a lot of different infotainment systems. Carmakers are dishing out large sums of money and human resources in the development of the best possible interface to match their vehicles and brand image, but the sad reality is that most modern systems end up being unintuitive, confusing, and downright distracting when you’re out there on the road. Truth is, except for some rare occasions where the carmaker gets it right, when I need directions to go somewhere fast in a modern car, I’d rather default back to my smart phone instead. That’s where Nuance Communication’s new, voice-operated, artificial intelligence-powered infotainment system comes into the picture. It’s here to solve the common problems related to modern automotive interfaces. 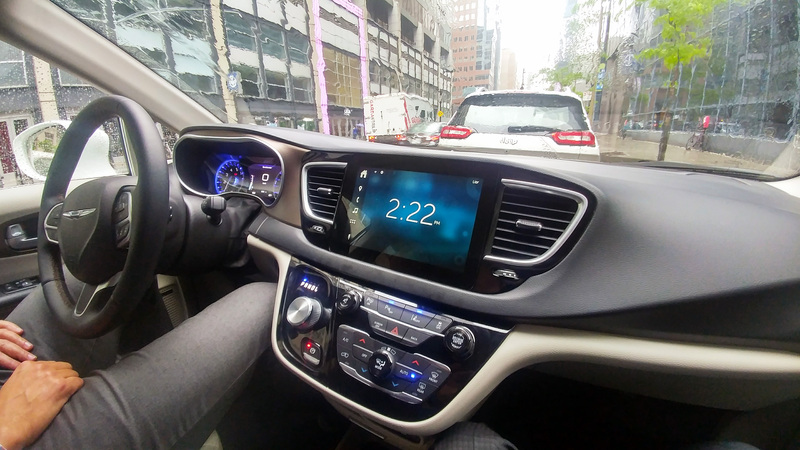 And since the Massachusetts-based software company was in Montreal for a tech demo of their new Dragon system, which they fitted to a Chrysler Pacifica minivan for a tour, they invited me to give it a try. Nuance has been working in partnership with carmakers for quite some time now, integrating its industry-leading voice recognition systems in several models currently on the road, notably from luxury carmakers such as BMW and Mercedes-Benz. But their new system, Dragon, which is still in the development phase, aims at revolutionizing the way we’ll interact with our automobiles in the future. Sure, smart phone connectivity brings convenience, but also causes more distraction on the road. 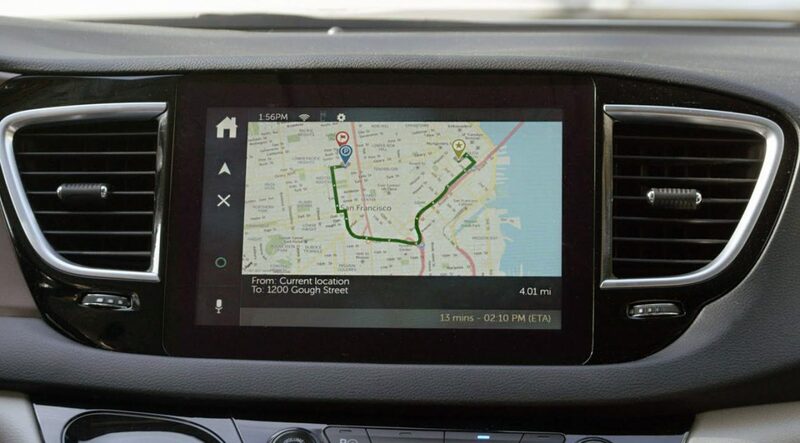 Nuance wants to make the infotainment system a true co-pilot, and integrate Dragon’s brain into the system of carmakers in order to duplicate the effect of having someone sitting next to the driver, preventing having to deal with an infuriatingly distracting interface. And with the avenue of autonomous cars just around the corner, the need for a system that will clearly understand the commands of us human beings is more important than ever. To achieve such precision, Nuance’s Dragon A.I.-driven system can be tailored to each passenger in the car. All you need to do is first register yourself in the system’s interface through a three-step process by entering your name, a password, and your voice. The rest is all controlled with your vocal chords, with the system associating each passenger to their given profile, while syncing the smart phone they have in their pocket to its artificial brain. A key feature that distinguishes Dragon from conventional voice-recognition systems is its ability to mute out ambient noise, and focus solely on the person that’s actually speaking. This not only allows for individual command of the system for each passenger, but proves itself handy in the event that the driver needs to have a conference call while bringing the kids to soccer practice all at once. That ambient sound isn’t only filtered out for the system to understand commands, but for the people on the other end of the call as well. To achieve this, Nuance fits microphones over each seat in the vehicle, on the ceiling, in order to properly capture the vocals emitted by each passenger. 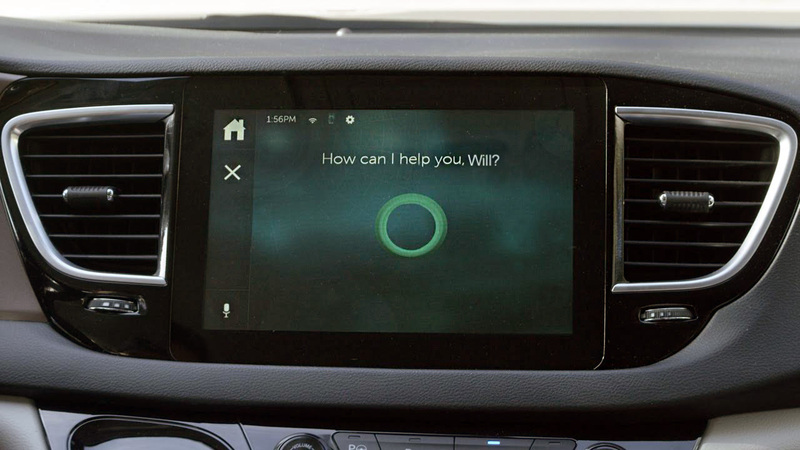 This allows for voice commands to be called out even if other people in the car are having their own conversation. For instance, if a passenger sitting at the rear of the vehicle is frisky, instead of bothering the passengers up front, and interrupt their conversation to increase the heat in the cabin, that passenger simply needs to say: “Hello dragon, I’m cold”. Dragon recognizes that specific person’s voice, even while the others are talking, and knows where they are sitting in the vehicle. It then proceeds with raising the ambient temperature in that specific zone of the car, given that the vehicle is equipped with a multi-zone climate control system. Other individual passenger commands such as launching a playlist from your smartphone to the car’s sound system are achieved in the same manner. The benefits that trickle down from a system’s capability to recognize simple, one-sentence commands, allows for more flexibility in several of the car’s integrated features, notably the navigation system, which may be more of a burden when searching for available parking while stuck in traffic, than actually be of assistance. Dragon can detect multi-level commands, and thanks to a series of pre-programmed speech-recognition parameters, doesn’t require you to say it in a properly-articulated, quasi-robotic manner. This system recognizes the way people actually talk in real life. Let’s say you’ve just arrived to a new city, and desire to find available parking that only takes cash, all you need to do is ask Dragon to find it the same way you would a passenger in the car: “Dragon, find me nearby underground parking that only accepts cash”. Most current systems would glitch under such a command, since it is constituted of three, very precise requests: available parking, underground, and only accepts cash. This is where the use of actual artificial intelligence, that adapts as you use it, adds a whole new level of flexibility in the way we interact with these systems. Looking for the best burger outlet in town? Easy. Simply ask Dragon to find the best burger, and given the system is connected to a mobile connection service, Dragon will use Google ratings to find the best-rated burger joints in your area, and propose them as destinations on the car’s navigation system. If the proposed outlets are too far for your liking, you can simply tell Dragon: “Find me closer ones,” and the system filters out the closest possible burger places, according to their ratings and sets a waypoint in the GPS. This all happens while you’ve got both hands on the wheel, and focusing on driving the vehicle. Again, these are a series of complex requests, but thanks to an actual brain that computes the received information, Dragon sets itself apart from conventional one-direction voice-operated systems. I have to admit, Nuance’s Dragon is impressive. To be fair, I myself didn’t quite embrace the idea of combining artificial intelligence with the automobile by fear that it would intrude with the pleasures of driving the actual car and being in absolute control. But after this demo, I can safely confirm that these systems aren’t here to bring doom to our passion of the automobile or the absolute freedom it provides us. They will be here to make our lives easier as we progress faster and deeper into a world of complexity and simulation. Clavey’s Corner is located in Montreal, Quebec, Canada. Prices and trim levels discussed in this article reflect the Canadian car market. Full time automotive journalist at Le Guide de l'auto / The Car Guide, AJAC member, and contributor at Jalopnik.